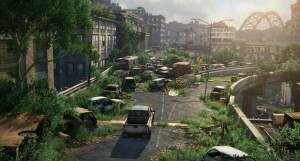 The Last of Us is a great gameplay experience, but is it as revolutionary as some might have you believe? I really enjoyed the Last of Us. From the very start the graphics and environmental design was breath-taking – more so because of the art direction rather than the sheer technical details of it (although those were also very good). Lighting in particular helps highlight a lot of the best locations. The animation as well is used to great effect – not just the facial digital acting (which, apparently, was all key-framed), but the body movements and actions. Joel (the player character) feels older and a bit more sluggish than your average nimble footed hero, albeit he is still a rugged and powerful figure. It complements his character well. So it’s the characters that people have raved about in The Last of Us. It has to be said – they’re very well written. The cut-scenes are well done and the incidental dialogue that’s triggered as you move through the world (where the occasional important point is highlighted in the environmental) all help to build well-fleshed out characters with complex backgrounds and motives. 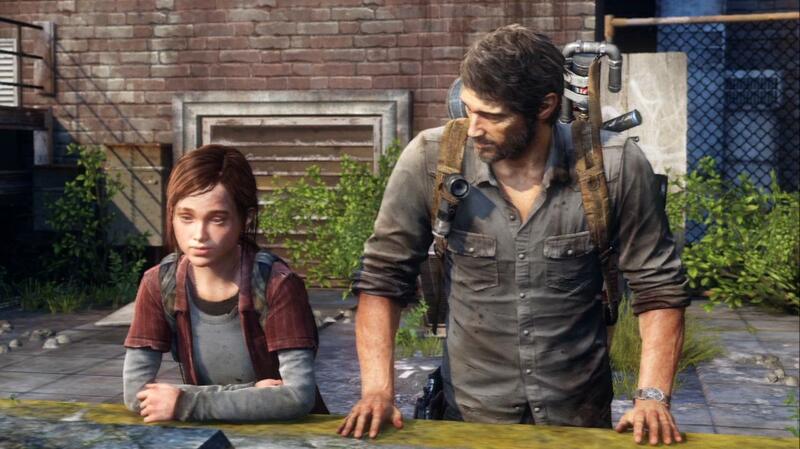 I genuinely enjoyed the story between Joel and Ellie – especially as it went from being a straight-forward ‘quest’ of ‘deliver the girl’ and then went on to become the story of a developing father-child kind of relationship. The other major beats – meeting Joel’s brother where he must confront his past, Ellie being captured and escaping by a cannibal group of survivors, were good as well. There was SO much to like about it actually. The stealth mechanics worked well – the visualisation of Joel’s listening was nice and stealth kills were satisfying when they went well. Pacing was good in the main, although there were some very frustrating difficulty spikes that made me almost stop playing at a few points. The sound is wonderful and the soundtrack is outstanding. The scarcity of resources worked well – it engineered that natural desire to scavenge in order to survive in a way that Bioshock never quite did – especially Bioshock Infinite. But, at the end of the day, I was playing a stealth game against zombies and feral humans. Although it is so much more than that, that’s what the initial premise of the game was, and in a strange way it’s disappointing that they got so much right, but in a fairly pedestrian and boring setting. In fact, although the desperation of mankind in a zombie apocalypse was a necessary pre-condition for many of the events, I sometimes (though not always) felt as though the combat and stealth got in the way of what was best about the game. 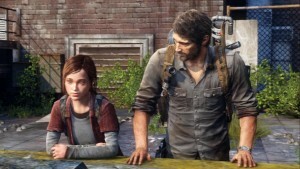 I’m not convinced that the Last of Us is particularly revolutionary, but it’s very polished and what’s apparent in this game over many others is the attention paid to the details in the relationship between Joel and Ellie and, in particular, the world in which that relationship develops. I had several moments of shock, horror, or revulsion from the environmental storytelling – more so than the main story narrative. A message left very neatly in someone’s own blood asking forgiveness for what they’ve done, a tombstone of the ‘wrong size’. So it’s not quite a revolution, but it does everything that others have tried to do a whole lot better than before. And yeah, it’s about zombies, but the beauty is in the details. The Last of Us reminded me of one of the things that games do really well which no other media/art form can do, which is to leave those details for you to find and leave it to you to piece together events and to come to your own realisation of what’s happened. All that remains now is for the games industry to have its own realisation about what this medium really can do.